Cambo’s Wide RS Series is the ideal photographic tool for the landscape, interior and architectural photographers needing less space for their equipment. The RS is considerably small and light, still offering combined vertical and horizontal movements.Geared movements allow for perspective control as well as stitching for wider views or even greater filesizes. Both directions use accelerated gears for fast yet precise movements, both movements shift the image plane on the rearstandard, leaving the lensposition untouched. Next to the body’s shift possibilities, Cambo offers lensboards with Tilt-Swing options for many of the popular focal lengths, in order to increase depth of field or create selective sharpness. The RS has been designed for digital photography with high-end digital backs and features ther best of Rodenstock’s HR Digaron-S and HR Digaron-W series, as well as a choice of some Schneider Digitar lenses. 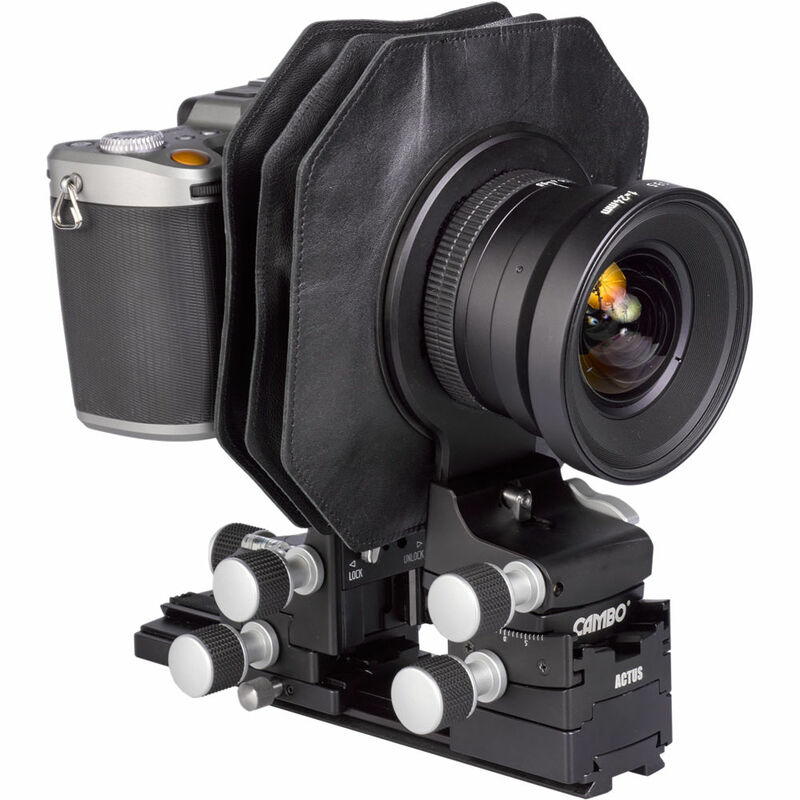 Interface plates are available for backs that have a mount for either PhaseOne/Mamiya 645 DF/XF, Hasselblad-V, -H, or Contax 645 and Leaf AFi / Sinar HY6 digital backs. 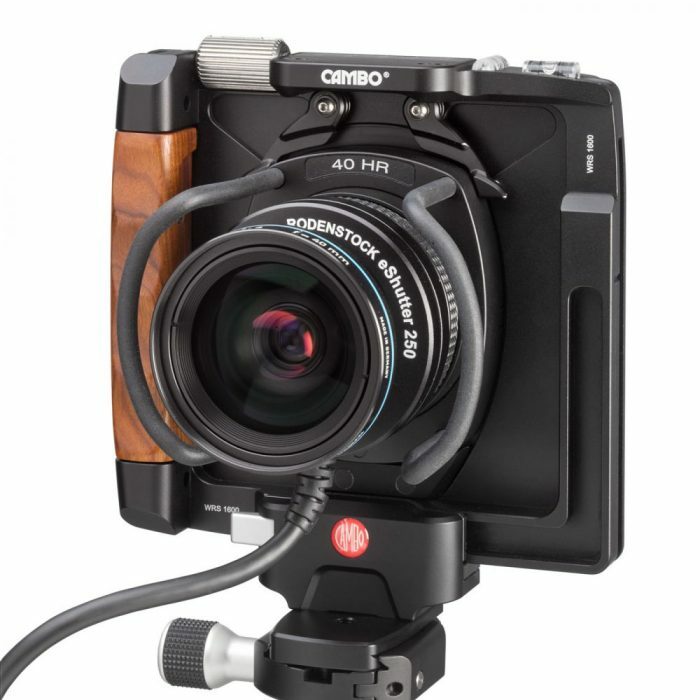 The Cambo ACTUS is a new technology camera system designed for mirror less cameras, such as the Sony Alpha 7 series & Fuji-X and also available for Canon & Nikon DSLR’s, for MF mirrorless cameras, such as the Fujifilm GFX and Hasselblad X1D and even for digital backs such as Phase One. It combines traditional view camera techniques with the latest capture technology. Using view camera movements the photographer will be able to be more versatile, be more creative and will be getting more professional results much faster than before. Size matters, the Cambo ACTUS has been designed to give maximum functionality with minimal dimensions, to support portability at ease. The Cambo ACTUS is small and lightweight and fits easily in a small case.